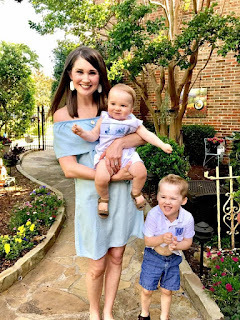 Life as the Mrs.: summer is funner? I've gotten to the point in summer when I'm really ready for fall. I do this every year, but this year it just seems really, really hot in Texas. As my East Texas friends would say, "It's hotter 'en Hades out there!" And it is. Anyway, I've been seeing all over the news and on Twitter: "What ways are you staying cool this summer?" Our fans and A/C are on the second we walk in the house. I'm not kidding when I say that our A/C is on a nice, chilly 69 degrees when we sleep. I do NOT want to see this month's electricity bill! I love dessert, but instead of cookies, cake, etc., we're currently all about sugar-free Fudgsicle's. Did y'all eat these when you were little? We used to eat these while walking around the pool when we were little. I love them, and it totally reminds me of being 10 again! We are all about snow cones and frozen yogurt! (And Fudgesicles...) No wonder summer makes me fat! We found the most ghetto but good snow cone shop in Dallas, and the other day, sweet hubby brought me home my favorite: wedding cake with cream. Sweet boy. I mean, I already mentioned our current fro yo obsession, but please do me a favor and go to Pinkberry and order their salted caramel yogurt with Heath Bar. You will thank me later. And I wouldn't be from the South if I didn't tell you that I am downing sweet tea like it's my job. Red Diamond and I are BFF's right now.